Chronic dextroamphetamine abuse may lead to dependence and addiction.2 Stimulant dependence develops when the body adapts to the presence of dextroamphetamine and, over time, becomes unable to function optimally without it.2,4 Although dependence is not precisely the same thing as addiction, which is a progressive condition characterized by compulsive drug use, it is commonly present at significant levels in people who do struggle with addiction.4,6 The development of stimulant dependence is most evident when a dextroamphetamine user begins to suffer withdrawal symptoms after suddenly reducing or stopping use.2 While dextroamphetamine withdrawal itself is rarely associated with lethal complications,, it can be extremely uncomfortable and make relapse more likely. Though prominent physical symptoms aren’t often an issue, stimulant detoxification can still be a struggle as it may give rise to several emotional and psychological symptoms. In some cases, stimulant withdrawal is associated with significant depression and potential suicidal ideation, which could necessitate closer supervision and support from the treatment team. In other instances, the sometimes-taxing psychological toll of dextroamphetamine withdrawal my exacerbate any pre-existing psychological conditions, which may also require additional treatment attention.4 If you or someone you know suffers from dextroamphetamine addiction, or are apprehensive about going through dextroamphetamine withdrawal, it can be helpful to speak with a mental health professional who is able to perform a thorough assessment and further discuss your options for detox or addiction treatment. On average, acute withdrawal symptoms typically last between 1 and 2 weeks. Throughout withdrawal, many people feel emotionally and physically exhausted, which can make the already unpleasant withdrawal experience even more difficult to bear. In order to get through this difficult time as comfortably as possible, a formal dextroamphetamine detoxification program might be advisable. In such a program, medical and mental health professionals will be able to monitor your withdrawal progress and ensure your safety. They will also be able to prescribe supportive medications when needed, such as sleep aids for insomnia or anti-anxiety medication for severe anxiety. If you or someone you care about is struggling with dextroamphetamine abuse, help is available. It’s never too late to look for recovery programs near you or in a location of your choice. How your body metabolizes drugs. Your recent pattern of dextroamphetamine abuse. Whether you have been using any other drugs. Your current physical and mental health condition. Your usual mode of dextroamphetamine administration (oral, snorting, or injecting). Everyone’s dextroamphetamine withdrawal experience will be somewhat unique. While many people may experience predominantly psychological symptoms such as depression, anxiety, and paranoia, others may develop significantly troublesome physical symptoms such as movement problems, changes in appetite, and fatigue.2,3,7 Still, others will experience a combination of both. Acute dextroamphetamine withdrawal sometimes give rise to certain psychological and medical complications, which may increase the danger of detoxing alone. 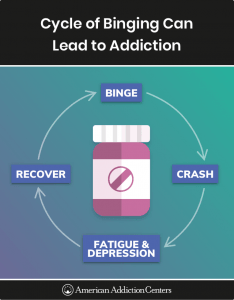 For example, it is relatively common for people experiencing stimulant withdrawal to develop severe depression and suicidal thoughts.9 People at risk for such complications may require the services of a detox program equipped to provide close medical supervision and mental health services, should they be needed. Many drug detox programs have trained mental health professionals on staff who can support you through this challenging time, as well as medical professionals who can provide appropriate interventions to guarantee your physical safety and comfort. Another serious danger of dextroamphetamine withdrawal is a heightened risk of relapse. Because dextroamphetamine withdrawal often lead to intense drug cravings and other unpleasant symptoms, individuals in early recovery may be at particulate risk of immediate relapse in an attempt to alleviate the discomfort. 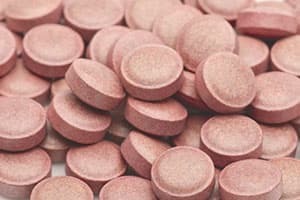 Furthermore, some people going through dextroamphetamine withdrawal may attempt to self-medicate with other substances, such as alcohol, benzodiazepines, or opioids, to alleviate the unwanted symptoms. This can further complicate withdrawal and, should it become a frequent practice, eventually lead to a polydrug addiction. Dextroamphetamine detox can be a challenging process. It can be difficult to remain dedicated to your recovery during a markedly unpleasant withdrawal phase, which is why, in such instances, it is so important to seek professional help. You do not have to go through dextroamphetamine withdrawal alone and, in many cases, you shouldn’t attempt to. If you are ready to start the detoxification process and take the first step on the road to recovery, consider which detox option is right for you. Inpatient detox: At an inpatient detox program, you will receive 24/7 care for all of your symptoms and will be separated from triggers and your old using environment. Hospital detox: If, in addition to a stimulant use disorder, you suffer from any significant medical or mental health conditions, a detox program in a hospital setting may be the best fit for you. Many people wind up detoxing in a hospital after experiencing a medical emergency related to stimulant abuse. Outpatient detox: Outpatient detox programs are well-suited for anyone who wants to live at home while going through detox. Most outpatient programs require you to check in daily. Participation in this level of detox may be at the discretion of an evaluating professional, as most intensive levels of care may be recommended for people with relatively severe amphetamine dependence and a higher likelihood of a riskier withdrawal. 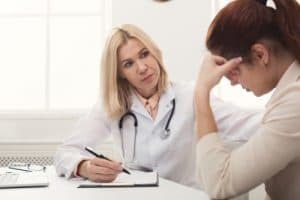 Detox under a physician’s care: When appropriate, you may work through your detox period under the direct care of your physician, who might prescribe a tapering schedule of prescription dextroamphetamine while providing frequent withdrawal progress evaluations. Detox is the first step in the recovery process. In order to facilitate and promote long-term sobriety and health, it is important that you transition into a rehab program once you are stable and have completed detox. A dextroamphetamine addiction treatment program can provide you with a number of interventions designed to help you avoid relapse and stay clean in the long run. U.S. National Library of Medicine: MedlinePlus. (2017). Dextroamphetamine. Food and Drug Administration. (2007). Dexedrine. Lakhan, S. E. & Kirchgessner, A. (2012). Prescription stimulants in individuals with and without attention deficit hyperactivity disorder: Misuse, cognitive impact, and adverse effects. Brain and Behavior, 2(5), 661-677.